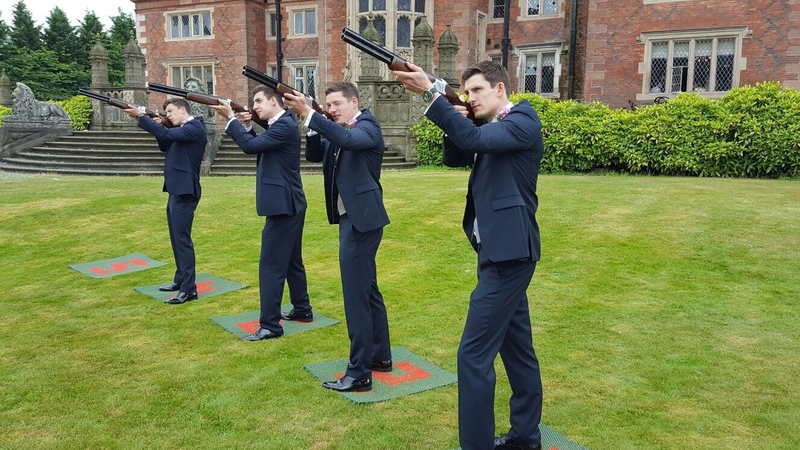 Laser Clays Entertainment Ltd would love to entertain your wedding guests or at your hen and stag parties with something new and exciting. 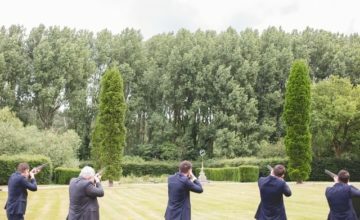 Indoors or outdoors our systems offer your guests something unique and memorable to try on your special day. If you are looking for a little sporting action or competition on your wedding day we could be the perfect addition. 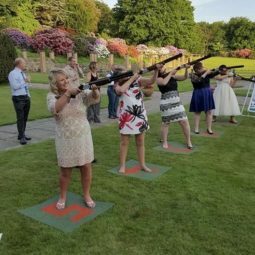 Laser Clays Entertainment Ltd are very experienced in providing top quality entertainment that will fit around your plans. 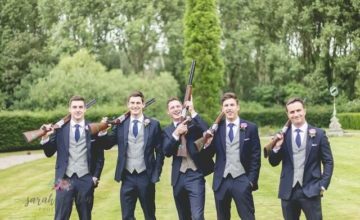 Offering a flexible service why not make an enquiry to see how we can help you on the big day ! 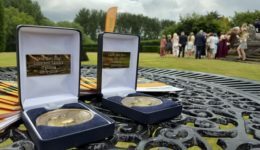 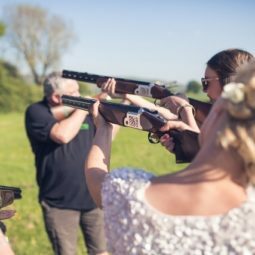 Laser Clays Entertainment Ltd go that one step further to add to the memories by providing quality boxed medals for the winners which are engraved with your wedding details. 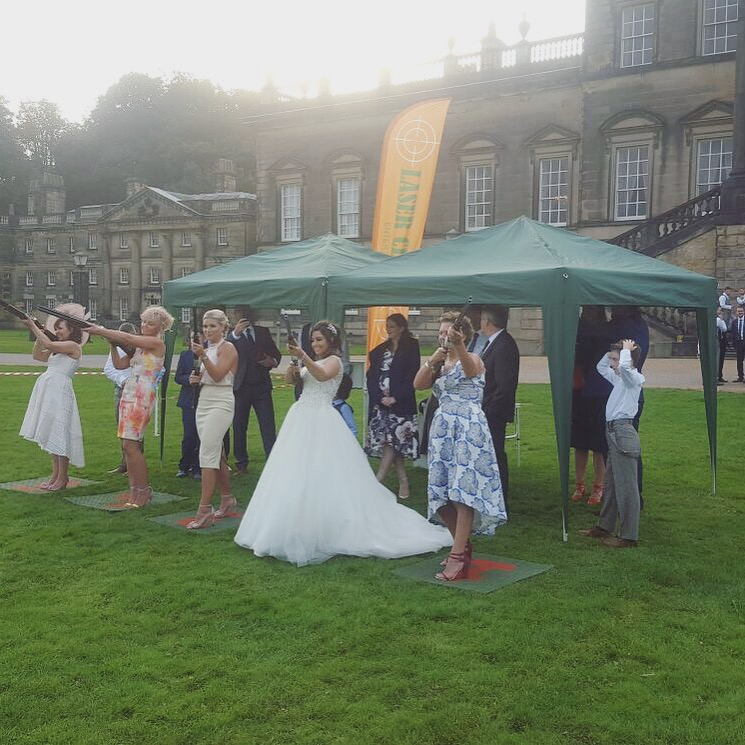 They can be presented during the speeches which adds an extra something special for your guests ! 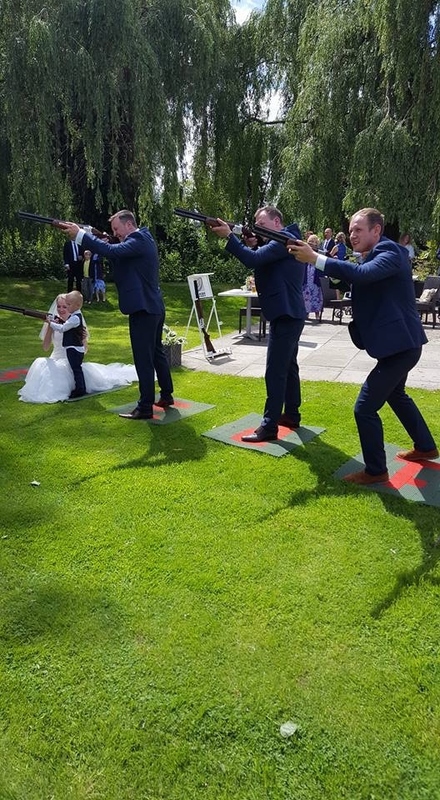 Perfect for all ages and experience. 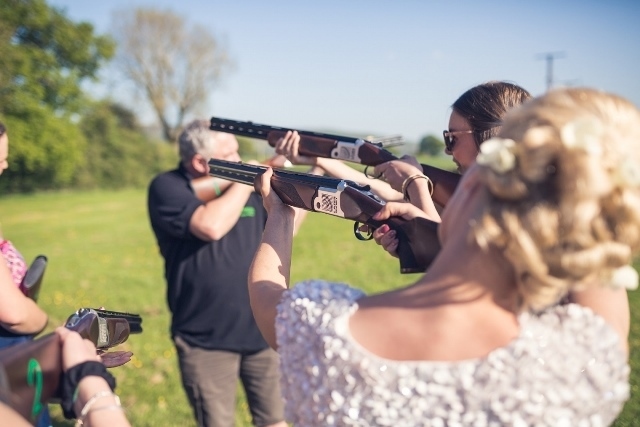 If you’re looking for alternative entertainment why not have a night time shoot using our fascinating luminous clays ! They making shooting outdoors in the dark and at any time of the year possible. 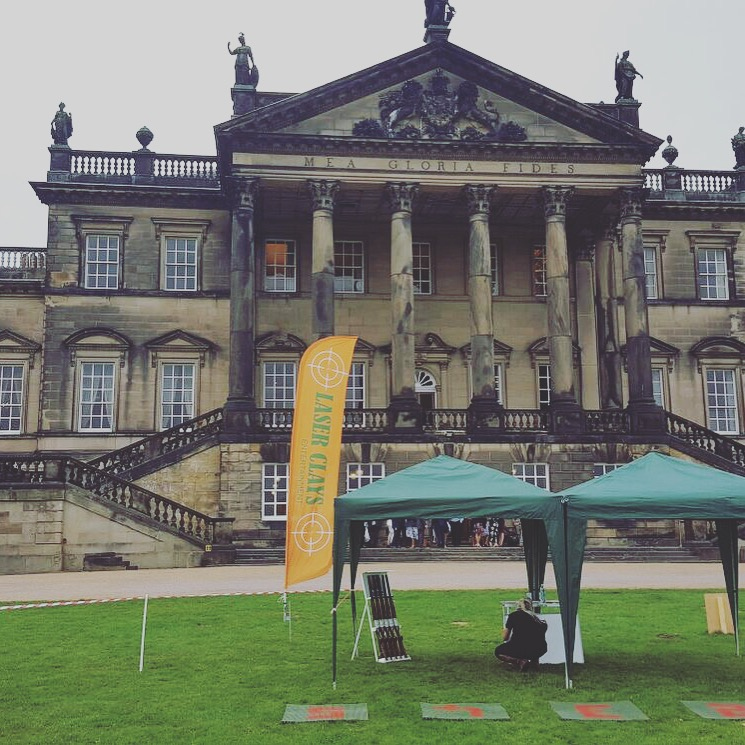 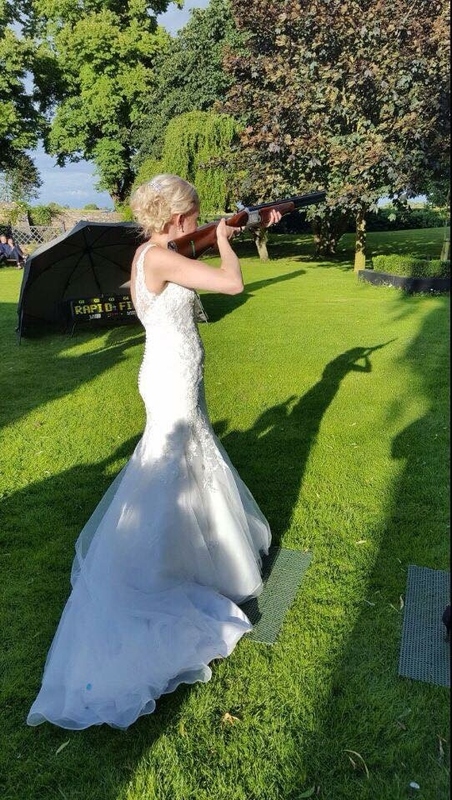 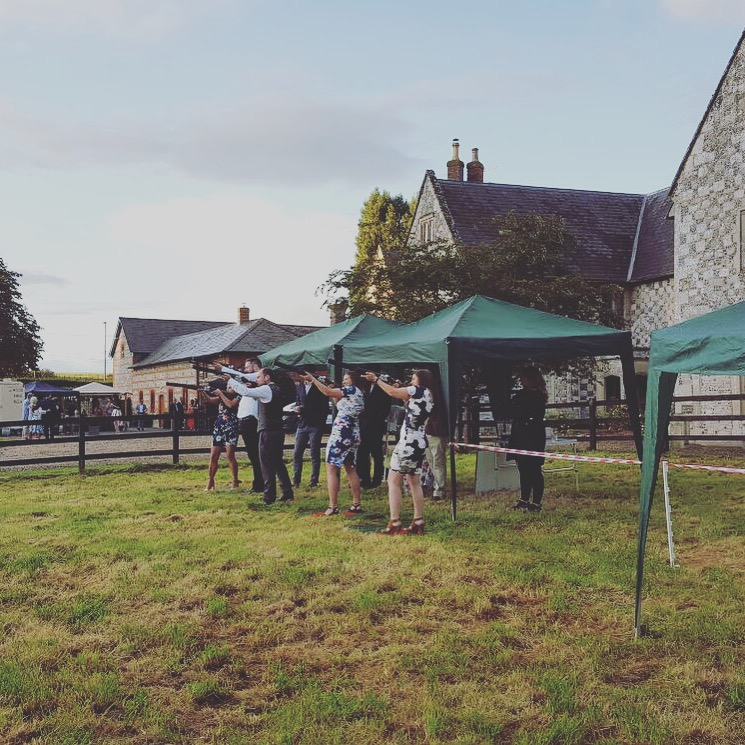 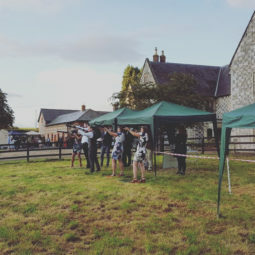 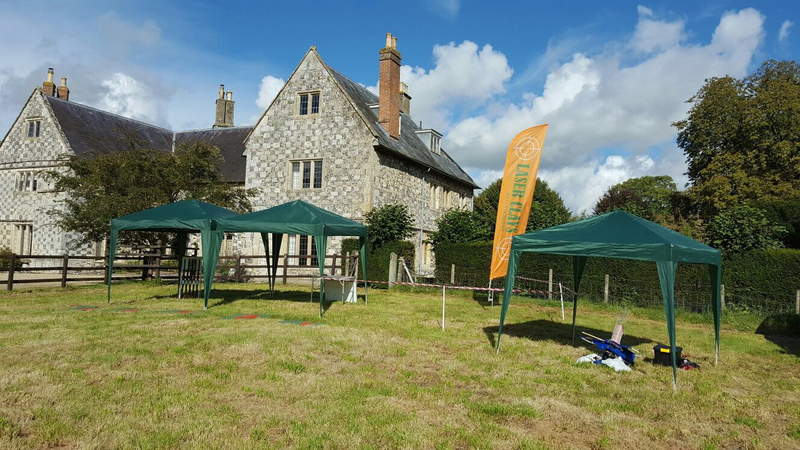 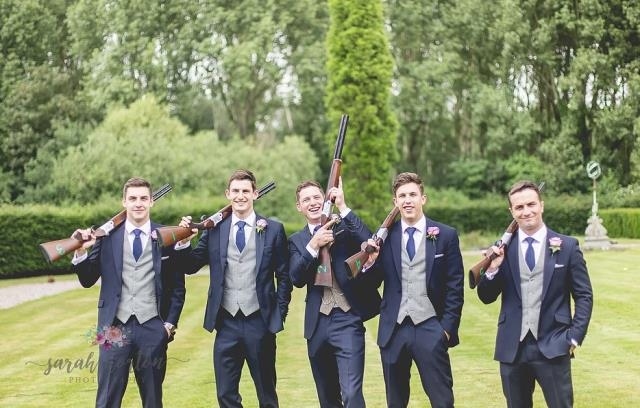 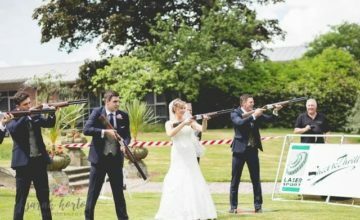 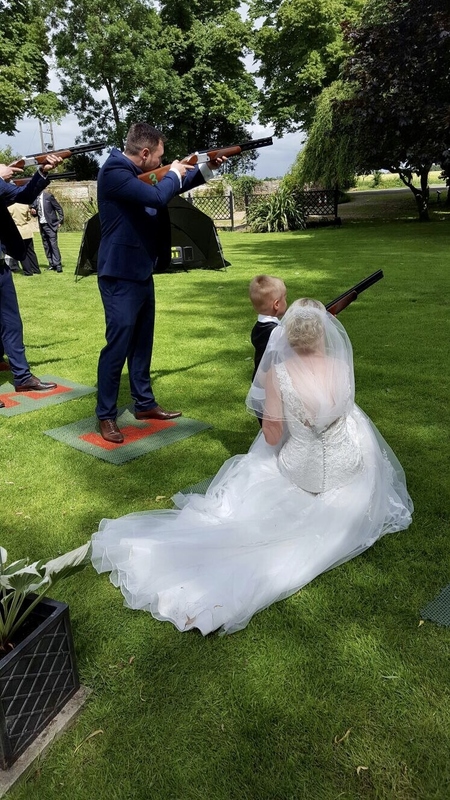 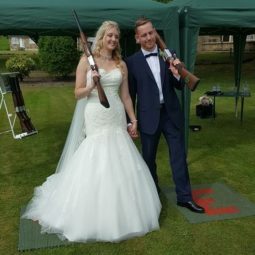 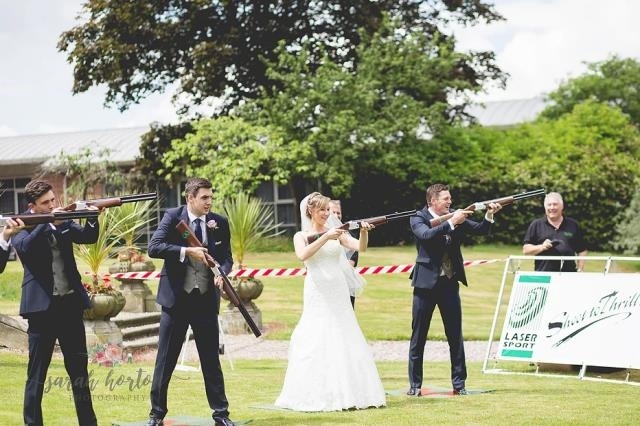 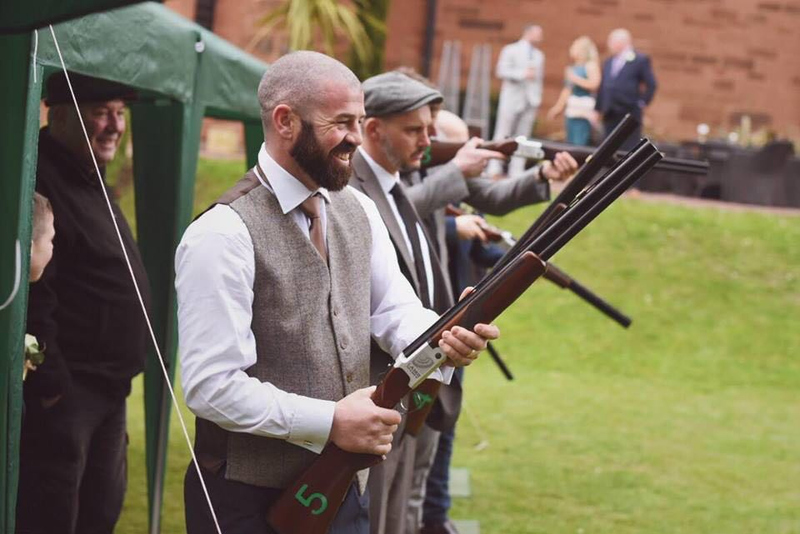 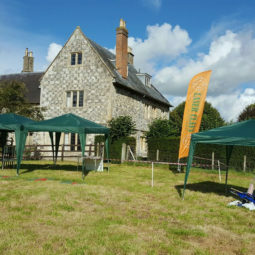 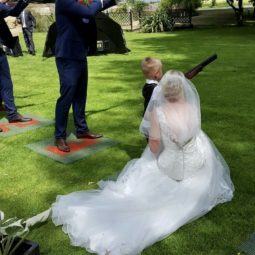 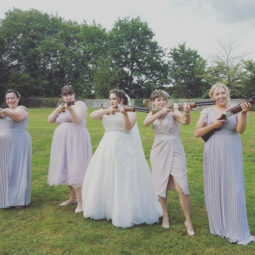 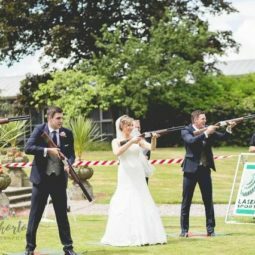 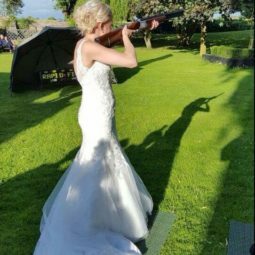 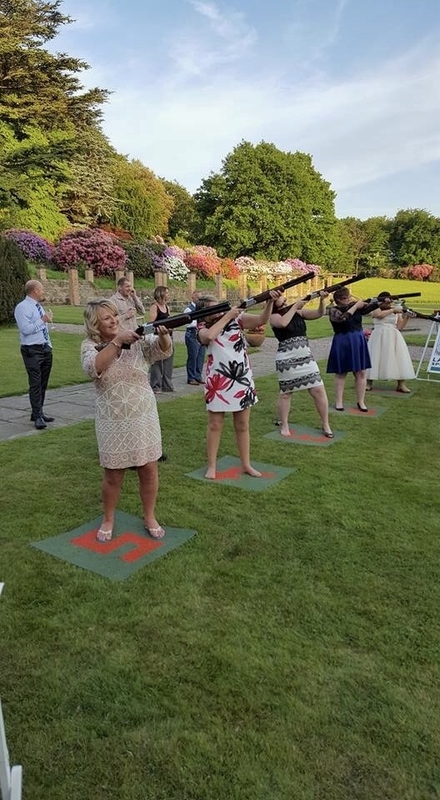 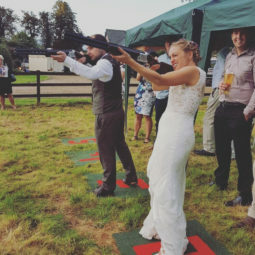 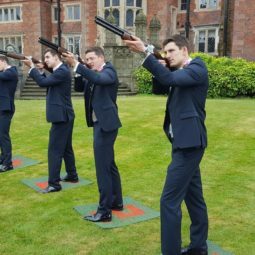 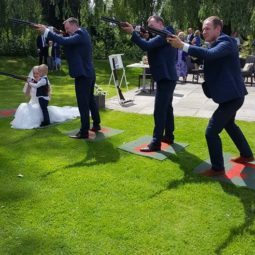 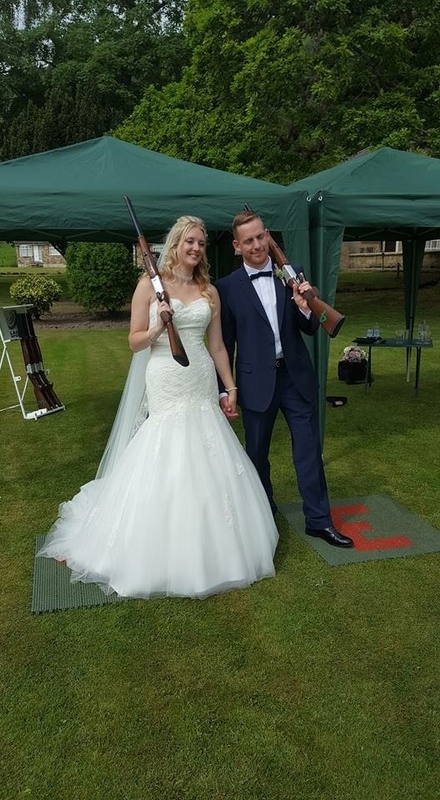 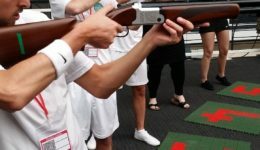 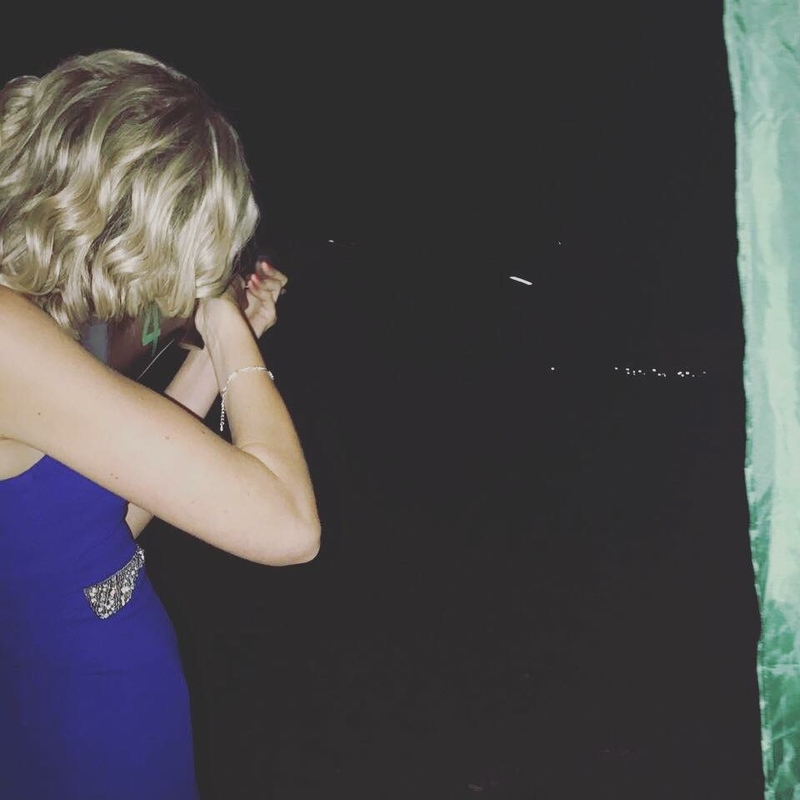 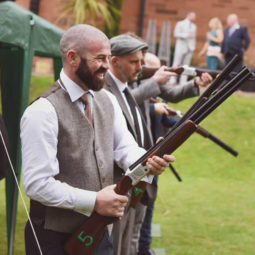 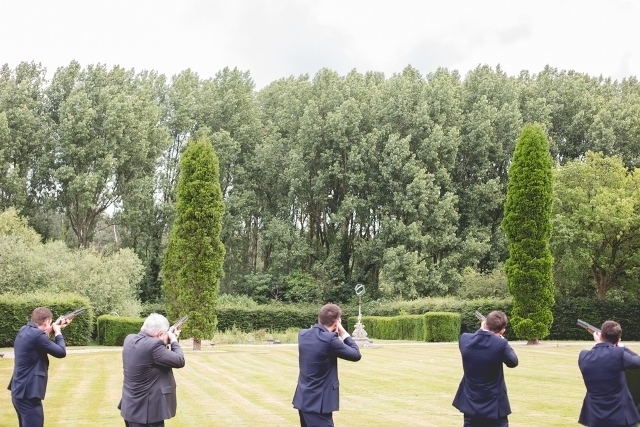 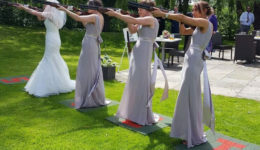 So, whether its the outdoor Laser Clay Pigeon Shooting and our indoor Smart Target System we are proving to be ideal entertainment for your wedding. 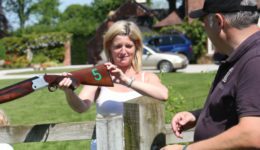 Perfect for a range of ages and experience. 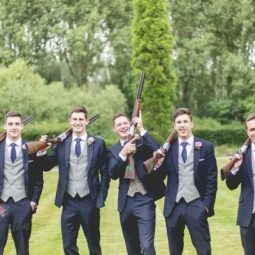 In order to make an enquiry please contact us.